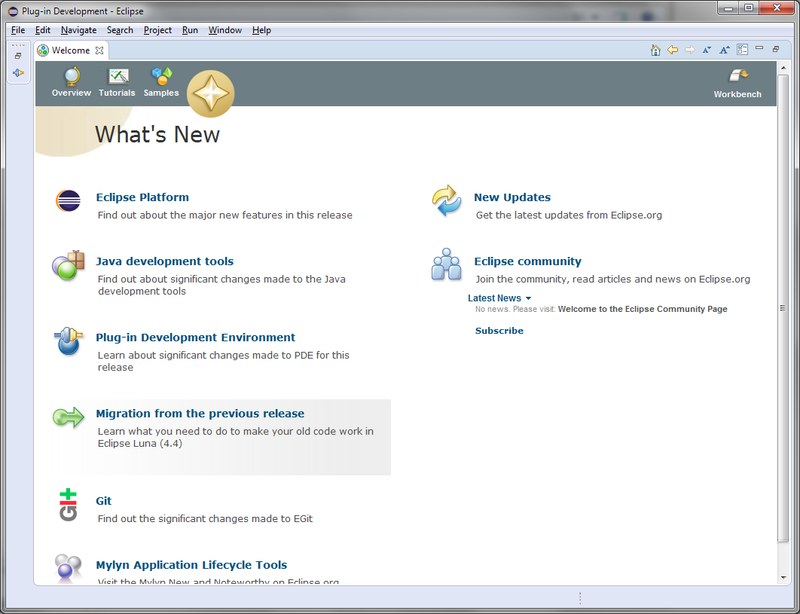 Eclipse 4.4 the newest and greatest release of my preferred IDE and RCP Development platform has been released. After the very buggy start of the 4.x releases with 4.1 and 4.2 the 4.x code stream is now very stable and the performance is back to an acceptable level. So if you are still developing in Eclipse 3.x now is the time to step up and see how much eclipse has improved in the last years. If you like eclipse please donate some money to the eclipse foundation to support their great work. As always, there is a myriad of packages to choose from. Would you be so kind to offer some guidance on choosing one appropiate to Domino Designer? I always choose the Eclipse for RCP and RAP Developers. This should have everything in place to develop Designer extensions. But you can always add plugins you miss at a later time with the software updater.